Castle Zaborski is a new Kaszubian castle, a modern, inviting, innovative venue of hospitality rather than a typical old castle building. Although Castle Zaborski is new, it is merely a continuation of the fascinating history of the area in which it is located. Castle Zaborski is situated beside Devil Hill, Diabla Góra, which rises 153 meters (500 feet) above sea level. The name is a folk name, but it did not always bear that name. On a map dated 1790 it was identified as ‘Castle Hill’. Why? There are several differing legends. One claims that a castle containing gold was buried to hide the gold. Another legend claims there was a convent on top of the hill that for some unknown reason ceased to exist. However, even until the present, on some nights, nuns appear walking on the slope. In addition, Anna Lajming (nee Zmuda-Trzebiatowski) in her short story ‘Carnival Time’, Zapusty, tells of the legend about a man without a head who walks by Devil Hill during the hours of dusk. Also in legend, Jesuits who supposedly brought the paradise apple (malus pumila, var. paradisiaca) to Lesno possibly have a connection to this place. However, other information tells that this apple tree was brought to Lesno by descendants of Dytryk of Leisten who received the privilege for Lesno in 1356. He had come from Mecklenburg from a place called Leisten situated on a lake of the same name. There, in Turne Land, paradise apples grew and still grow to this very day. In 2005, Dr. Piotr Kittel of Lódz University conducted an auger analysis for phosphorus in the soil of Devil Hill. The elevated phosphorus levels of the testing indicated possible past human occupation and make the area worthy of future archaeological attention. The most possible explanation for the higher phosphorus levels is that about eight hundred years ago a pagan guard post and/or temple to protect the castellan of Zabory Land in Lesno stood there. The architecture of such a temple or guard post was very simple. Normally it was a wooden obelisk showing a god with three or four faces and was surrounded by a wooden fence. The expression Zabory Land, Ziemia Zaborska, appears for the first time in a document dated the 24th of June, 1299, and written in Gniezno by the Polish and Pomeranian Prince Wladyslaw. By this document Wladyslaw gave Nicholas Jankovicz, palatine of Kalisz (Wielkopolska or Greater Poland) the right to adjudicate in the castellany of Raciaz and the castellany of Szczytno as well as “in the land of Zaborensi” (terra Sabor, terra Zaborensis) meaning Zabory Land or the ‘land beyond the forest’. The name Kaszuby was used for the first time in a Papal Bull of Pope Gregory IX dated the 19th of March, 1238, mentioning the property given by Boguslaw I (Szczecin, 1156-1187) to the Knights of Saint John the Baptist to be used for a monastery. Boguslaw I was identified as Duke of Kaszubia (dux Cassubie). After Christianization of the area including the building of a church in Lesno, there appears to have been some conflict between those adopting the new faith and local people accustomed to practicing pagan rites and traditions (some of which persist to the present). In an attempt to turn the people against the old ways, local sacred places were often called by unpleasant names such as Devil Hill. The area surrounding Castle Zaborski is in essence an island. The River Mlosina is on the south and the River Zbrzyca on the north. The rivers connect by a XVIIth century ditch on the western side of the hill. Originally the River Zbrzyca flowed around the hill on the eastern side and connected there with the River Mlosina. Today there is a wide ditch within the old river banks which serves to collect runoff water and dry the meadows. 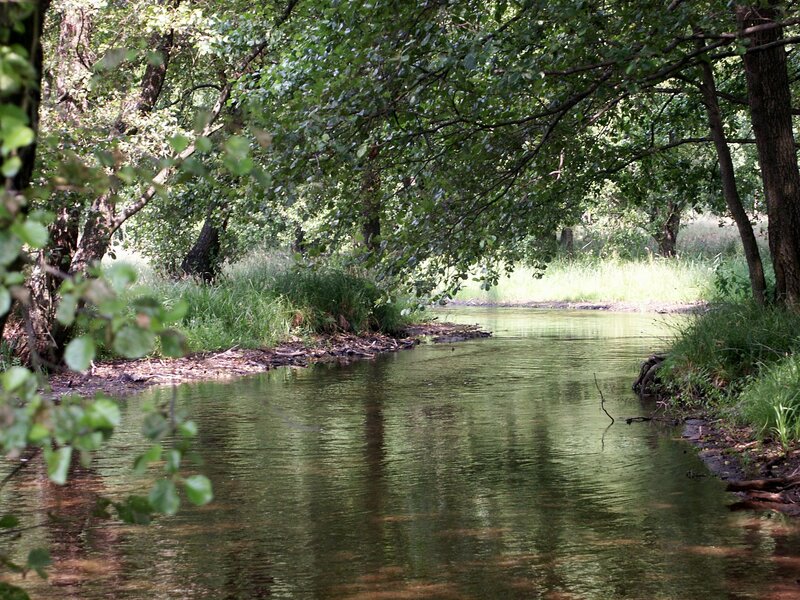 It is probable that the meadows were deliberately created by changing the course of the river. The new course of the river was also later used for a saw mill located on the River Zbrzyca next to today’s Castle Zaborski. Nearby are the remnants of an aqueduct which was built to allow water to irrigate the meadows from the west side of the hill. The Kashubian name for this kind of meadow is Rizlónki. 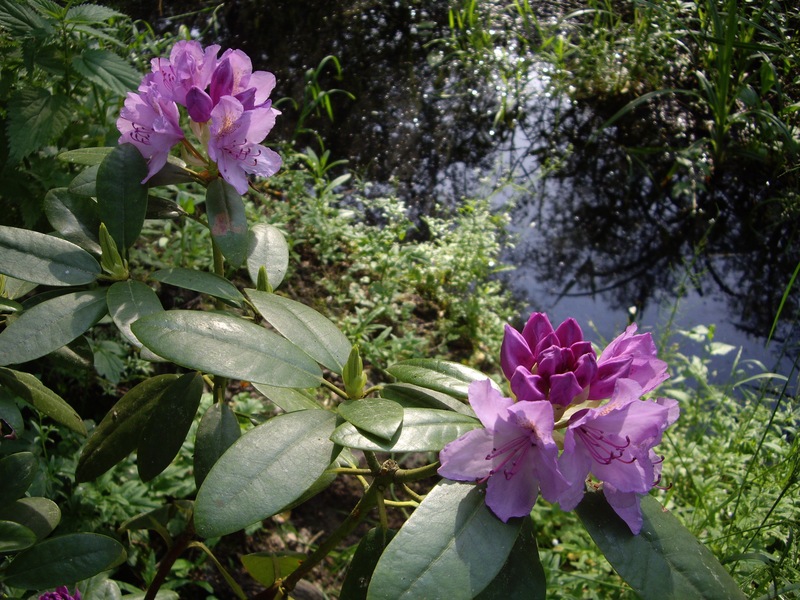 At the termination of the flooding system there was an overflow pond which today is part of a rhododendron garden. 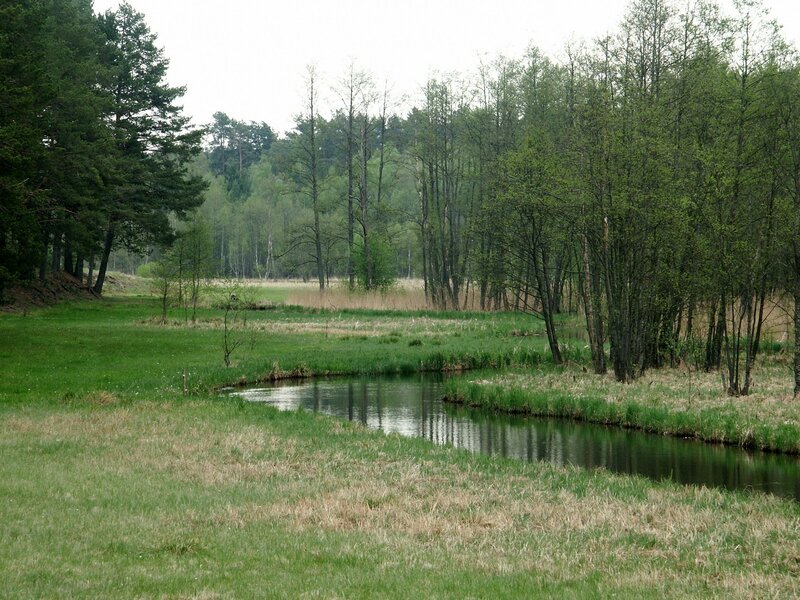 At one time the land belonged to the noble family of Kossak-Glówczewski. In 1912 the family built a palace in the village of Kaszuba. The beginning of the village of Kaszuba is associated with the water mill described as the ‘new Lesno watermill’ in the records of the inspection of the King’s properties (Lustracja) dated 1570. Most possibly the reference is to the water mill in Kaszuba. The use of the word ‘new’ seems to indicate there had been an old mill previously. In the Lustracja dated 1664 there is mention of “a mill with two wheels held by Walenty Kaszubski under a privilege granted in 1636 by the deceased King Wladyslaw IV, for which Kaszubski is obligated to pay 60 bushels of rye valued at 84 florens. He also is feeding two pigs and pay 8 florin and 2 grosz rent for the land.” Later the mill was purchased by the family of Kossak-Glówczewski. The early name of the ‘mill in the wilderness’ probably came from the surname of the millers families, Kaszuba. The oldest existing church record books dated 1643-1649 give credence to this theory since Kaszuba was the only surname recorded in the village of Kaszuba. About 1918, Jan Kossak-Glówczewski sold the land where Castle Zaborski now stands to Franz Szreder. After Franz died, Marianna Szreder inherited the land. She married Marcin Piekarski from Chelmy and the land was subsequently divided. In 1945 they built the first building on the present site of Castle Zaborski. At that time the surrounding farms had been devastated by World War II and they built only a primitive wood house suitable as a shelter. In 1967, Jan Piekarski, the son of Marcin and Marianna Piekarski, built a new house. Parts of this original house have been incorporated into today’s Castle Zaborski. Jan died tragically in an automobile accident and his sister, Apolonia, and her husband, Franz Bronka, inherited her father’s land, which they later passed on to their son Michal. In 2005, this land was purchased from Michal Bronka by Stanislaw Frymark whose long standing dream was to erect a building similar to a castle. As early as 1996 he had mentioned the name Castle Zaborski in his diary with the idea of locating it on the western shore of Upper Lesno Lake. Time and ideas changed and the actual second location was on his parents’ farm near the south shore of Lower Lesno Lake where for ten years starting in 2000 he operated his guest house “Zaborski”. The initial plans for the current Castle Zaborski were first drafted in 2007. In 2008 the wall-tower on the north was constructed containing a circular staircase connecting the floors. In the same year, all the walls were constructed using a new thermal insulation of the highest quality and surpassing ecological standards. New roof was also completed. 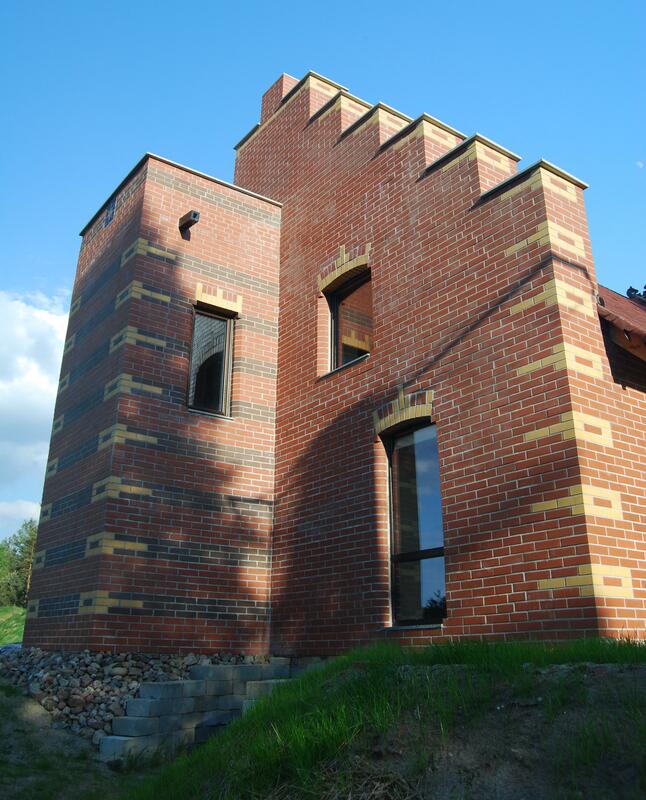 In the year 2009 all the external red brick decoration was added including a stylized cross on the western wall, and the northwest guest room (the Kaszubian room) was finished. The kitchen and the southwest guest room were completed in 2010. The entry to Castle Zaborski is through an elegant double door from the turn of the XIXth to XXth century, which was originally part of a gracious home in Brusy. 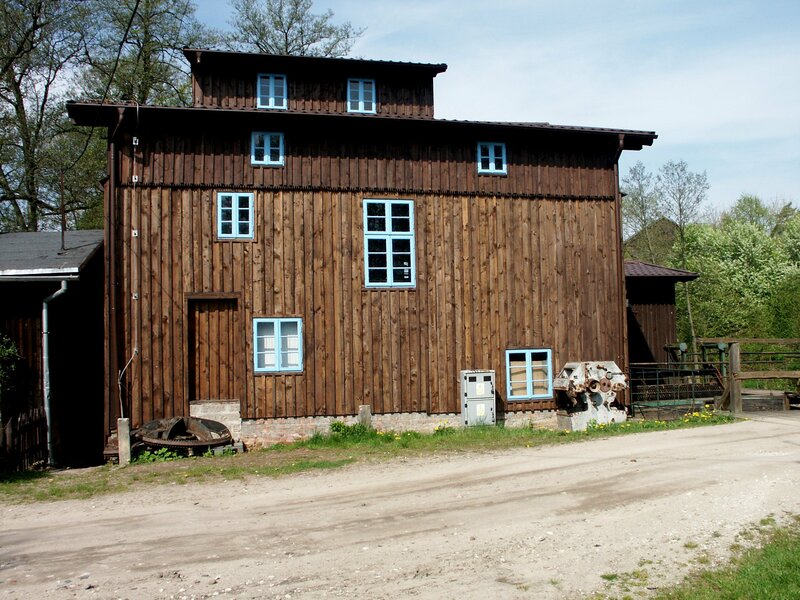 One mission of Castle Zaborski is to preserve Kaszubian culture and traditions. To this end, one finds inside many historical artifacts as well as original works of artists. Here is a place where one can satisfy desires to enjoy the local life, relax as an honored guest, or be a detective searching for traces of Kaszubian ancestors. We extend a warm invitation!